Best Feature: Well-ventilated, makes me feel like I am on a safari. Circumstance of review: It took one week of hiking in Colorado for me to realize I was going to need a real sun hat for the desert portion of my upcoming PCT hike. I was shocked at how relentlessly the sun beat down on me, especially without any humidity for a buffer. 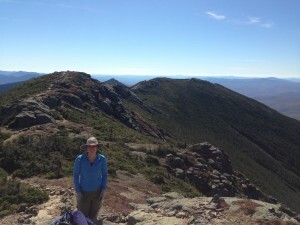 So, I’ve spent the past month testing out the OR Sombriolet at home in the White Mountains. I chose several ridge hikes this month, both to test out my new hat and to say goodbye to the summer. 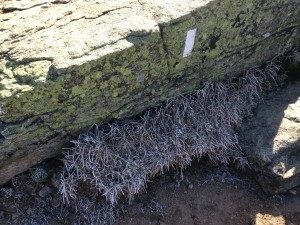 First rime ice of the season! 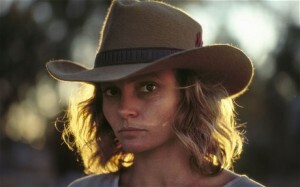 This whole ‘sun hat’ business is pretty new to me; In the lush, tree-covered Northeast, I never wear hats in the summer. In fact, I find them incredibly annoying. 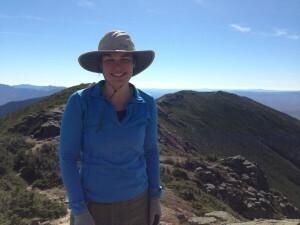 But I figured if I could stand wearing the Sombriolet on the notoriously windy Pemi range, it was a keeper. Fit: The hat fits so comfortably, I wouldn’t have known it was there if not for the brim in my field of vision. The hat is adjustable both with a small cinch at the back that controls its width and a chin loop that keeps it secure in high wind. Both work great and are easy to adjust. I also found the inside to be pretty soft and comfortable, considering it was mesh. 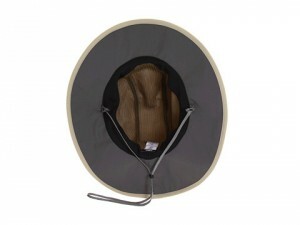 The ventilation adds to the comfort of this hat as well; on a windy ridge in direct sun, I didn’t even notice any sweat. Style: Personally, I think it’s pretty cool looking. 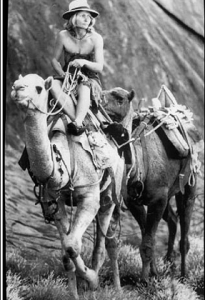 It makes me feel like Robyn Davidson driving camels across the Australian desert. According to upwards of two friends surveyed, though, I look like a huge dope. 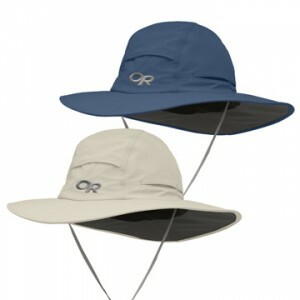 It’s no Stetson, but I maintain that it’s a lot better looking than most of the other sun hats that work. Basically a mirror image, right? Storage: It’s fairly flexible and folds up well; although when it is unfolded it sometimes holds the old shape for a time, making it uneven on your head. Anything with a moldable, stiffer brim like this tends to suffer from this problem, though, and if you work the hat with your hands you can restore it to normal. Pros: The hat is comfortable, it’s well ventilated, and it blocks the sun well. I wanted a hat to protect my face but I found that even my arms, neck, and shoulders got less sun due to the 3 X 3 ¾ inch brim. My visibility was much better also – with the underside of the hat colored darker, there was no need for sunglasses even on bright, sunny days. I read other reviews that complained about its wind resistance; I don’t know if OR changed their design, but I didn’t have this problem. It blew off when I reached tree-line, but after adjusting the chin strap (I have also been told this makes me look dopey), I didn’t have any more trouble. In fact, as long as I had the head cinched on correctly (tightly enough that I knew it was there but not uncomfortably so), most gusts couldn’t move it. Obviously with a wide brim hat like this, wind can be a problem – but I was impressed by how well it held up to prolonged wind exposure. Cons: The issues that did annoy me were typical problems for wide-brimmed hats. The hat obscured my view slightly in the front and rubbed against my backpacking pack in the back, sometimes causing it to stick up or come off. It was definitely more convenient with a daypack, although I could see it working better with a different distribution of my gear – especially since the brim is fairly flexible. Value: For forty dollars, the Sombriolet gets my approval. I have heard good things about other sun hat designs but if you’re looking for a hat with a brim, this is a great product. It is a little more expensive than some of its competition, but there doesn’t seem to be an option with more ventilation – so it’s worth it. Another image of me wearing the Sombriolet, taken from inside my head.